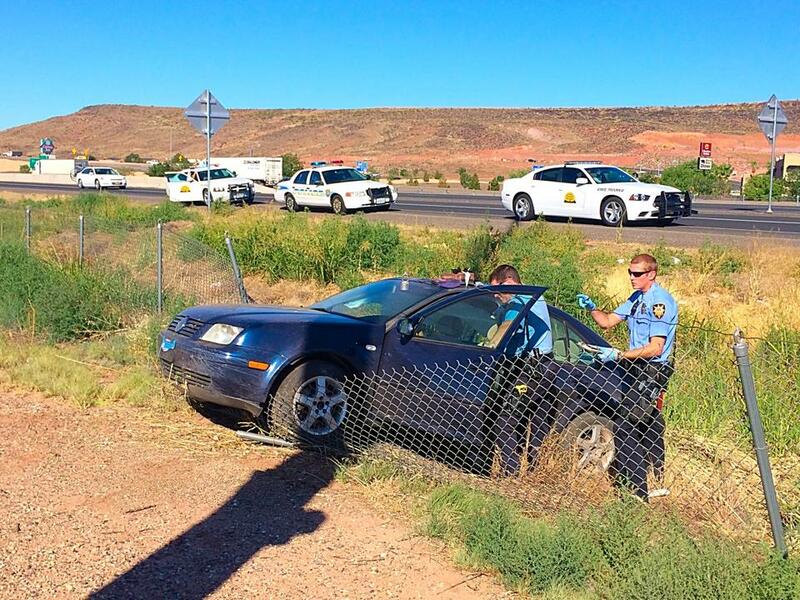 ST. GEORGE – The man who led St. George Police and Utah Highway Patrol troopers on a wild chase Thursday morning has been identified and charged. Jeffrey John Wayne Hughes, 23, of Ogden, was arrested and charged with one third-degree felony for evading police and fleeing in a vehicle; one class-A misdemeanor for failure to stop at the command of an officer; five class-B misdemeanors for leaving the scene of an accident, reckless driving, interfering with arrest, no insurance and a warrant; and four class-C misdemeanors for using a false license plate, failing to register a vehicle and two additional warrants. Hughes’ arrest and charges stem from a Thursday morning police chase which ensued after a concerned Desert Hills resident reported a suspicious person in the area. Hughes fled police in a Volkswagen Jetta. 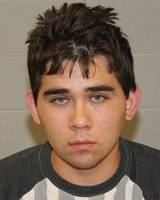 When Hughes was spotted traveling northbound at a high rate of speed on Interstate 15, officers moved to various off-ramps to block him from driving into town. Hughes started to leave the interstate at Exit 6 but rerouted back onto the freeway after seeing an officer. At about mile post 7, Hughes did a U-turn and began traveling southbound on the northbound shoulder in the dirt. Hughes hit uneven terrain, lost control and crashed the Jetta into a barrier chain link fence positioned between I-15 and Sunland Drive just before Exit 6. Hughes fled the vehicle and began running with bare feet toward Findlay Hyundai. A citizen in a hot air balloon assisted the police in locating Hughes from their vantage point in the air above the scene. Officers caught up to Hughes behind the Bureau of Land Management offices in a dumpster alcove. He was taken into custody without any additional force being used. Hughes was booked into Washington County’s Purgatory Correctional Facility. According to booking information, Hughes’ bail stands at $17,975. You give your kid the middle name Wayne and he’s guaranteed to end up in the booking sheets. Even prefixing it with John was not strong enough medicine in this case. He looks like a young Billie Joe Armstrong what an American Idiot driving down the hwy of broken dreams and he is definitely not welcome to paradise. Ya well this guy ran onto the “Savings side of the Freeway.” Needless to say he did not get vet far after that. There are no accidents it was a Jetta. Glad to see my boys from Zion towing made it on the scene!